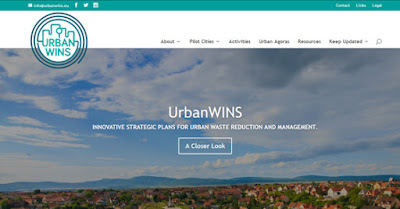 Leiria has joined the UrbanWINS  project, which aims to study the urban metabolism of the city. Systematic approaches comparing cities to living beings are not a new concept. Patrick Geddes  made this association as early as the start of the 20th Century, innovatively observing that cities evolved, grew, shrank and could even die, and that they consumed and produced. This was a highly original approach at the time. This organic approach sometimes went against the trends of the modernist movement in urban planning, which was more concerned with optimising urban functions, viewing the city more as a machine than a living being. Almost a century later, the UrbanWINS project focuses on urban metabolisms, building on the heritage of thinkers and researchers who have been developing organic approaches to cities. In 1965 Abel Wolman  defined “urban metabolism […] as the quantification of the material needs and goods required to support the human tasks of cities, including removing and disposing of waste” . In the 21st Century Christopher Kennedy updated the concept of urban metabolism to “the sum total of the technical and socio-economical processes that occur in cities, resulting in growth, production of energy, and elimination of waste” . More than a living being, the new concepts of urban metabolism consider cities to be ecosystems. Furthermore, they require systematic approaches that happen to be very complex, because the defining characteristic of the city is the variety of activities that take place in it, almost always related to consumption and use of natural resources. This is exactly what the UrbanWINS project aims to provide for each of the pilot cities, including Leiria. It seeks to understand each urban system well enough to be able to identify measures to reduce outputs, particularly waste production. This is because the city is a system of consumption and production, which generates by-products as part of these processes, including waste that has to be managed. While the concept of sustainable development was defended in the Brundtland Report in1987  as the combination of economic, social and environmental development, current concepts of sustainable development have been broadened. There are many references that add or separate the cultural and political dimension from the social component . Likewise, this broader theoretical approach was criticised for its impracticality; it was argued that sustainable development should take a form that was feasible for practical, concrete cases, or risk losing its meaning as a general concept. The political dimension is explored particularly closely in UrbanWINS, from the perspective of public decisions based on collaborative approaches. The aim is to promote initiatives for collaboration with the stakeholders in the different cities, where participative models promoting equality of participation based on information are used to identify the main local problems and possible solutions. These participative models will be succinctly termed “Agoras”, in a reference to the ancient centres of social life in Greek cities, where the ideas that led to the creation of democracy were born (at least in Athens, although the formal political sessions took place on the Pnyx ). During these sessions, every stakeholder representative will participate in a discussion group, identifying problems and questions to be dealt with in isolation. A facilitator will ensure that everyone can see the content identified, and that this content is thematically organised in a transparent way. There will then be a voting system with multiple votes. The problems/issues receiving most votes go back for discussion, during which the problems, difficulties, barriers and solutions are examined in greater detail. Finally, the solutions can be drafted and presented again by a representative of each working group. This content will then be dealt with in analytical reports. This is a simple example of implementation of a collaborative methodology, which clearly has its own rules and methods of functioning. A facilitator must control how long people speak, the focus on the subjects to be handled and even the possibility of referring to specialists and technical experts for explanation of concepts and other information that could be important for the processes of identification, voting and decision-making. Various physical agoras will be carried out, at which these and other collaborative methodologies may be used. There will be virtual agoras at the same time. 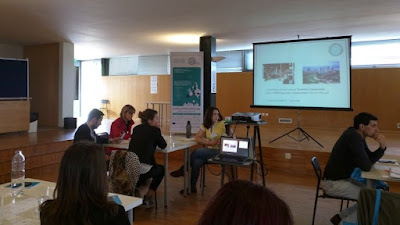 The UrbanWINS project aims to be an example, a pilot to be followed in other areas, showing how the combination of scientific models with real-life cases and participative and collaborative models can generate truly sustainable solutions for the future of our collective development. Note: The Urban Wins project is a European project financed by the European Research and Innovation Programme, Horizon 2020.